Video Gaming Industry is the one which elaborates its stunning success by expanding the advertising strategies. Advertising and Video Gaming Industry are inter-related to each other that drive the huge sales for the video gaming products or services. In simple words, we can say that Video Gaming is the backbone of the global market that targets the millions of customers for the particular brand through the evolution of Advertising. Most of the video gaming brands are in the thought of investing more on ad spend to reach more than expected audiences. 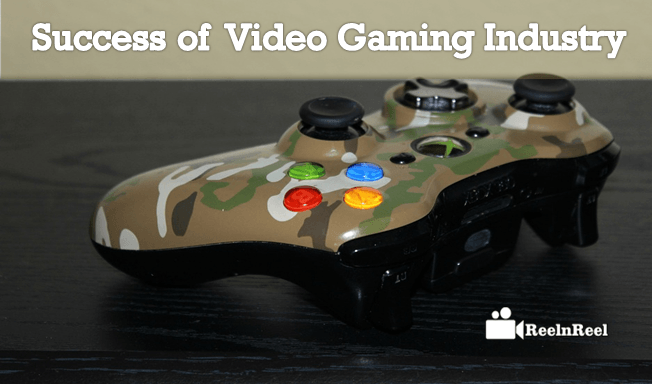 The integral part of the video gaming is explored through the launch of advertising. There are different ways of advertising in video games. Most of the brands are pushing video gaming ads that intentionally describe the products or services at the millions of players. Many organisations are stepping ahead to sponsor the commercial games, and some video games advertising will define the educational purpose. Anyway, the video games are becoming the most entertaining hub for all the players. These of advertisements are established by the particular organisation to disclose the products or services of its own. In many cases, most of the brands will offer these video games as a gift to the audiences that works as the promotion tool. Adever games will make the audiences to spend more time on the official page of the company or might bring the product awareness to the users. Some of the companies will sponsor on these games to promote their brand. Sponsored games and Website games are the categories of Adever games. It is the most commercial advertising for the Video Gaming Industry, and moreover, it is a little bit expensive to approach. It is nothing but the advertising in the video game itself. It is the most snacking idea of placing the virtual promotion of products. The companies will sponsor to place the billboards of the particular brand within the game itself. That means these brands billboards will appear as the real-time banners in the video gaming while playing that holds the more attention of the players. Many organizations will sponsor to place their products in the game as the main tool that is being used by the player. These ads are displayed while playing the video game. There might be more chances to click the ad by the player that let to know about that brand. These ads are played when the player needs to do another task then they should watch that video ad. These ads will let the players buy the other video games. In this the intention of the video game developer let the players visit another game or products websites by placing the URLs in the video game where they can find the relevant content. The interest of branded companies to invest more on video game advertising has to lead to finding the more number of game developers, devices, and platforms to give more competition to each other in reaching the millions of audiences. The growth of them is raising the demand for the advanced activities that should full fill the investor requirements to sponsor. The Video Gaming Industry should invest more in the development of the video game to attract the sponsors in making collaboration with them to place the ads. In this, most of the developers are less to reach the international level. The entry of various video games has cut the cost of the video game. Hence, it became the critical task for the video game industry to provide the more advanced features at the low cost that is reaching the customers. Most of the players will prefer to play the video games that are already proven to be at the standard of quality that is referred by their know parties or friends. Hence, building the trust is the major task for the startups. As we discussed most of the organizations are delivering the free games to the players. Such free games are becoming the breaking bricks of the original cost of video games. The attention of the players towards free games is more than the paid games. The more advanced video games are stimulating the players to migrate to the other video games rapidly. It could be the difficult task for the developers in predicting the user expectations. Virtual Reality is the most trending category in the video gaming. Now, most of the players are slanting towards the 360-degree virtual reality games. The reach of potential customers or players through 360-degree virtual reality gaming can be the most significant one. There are many strategies and techniques for marketing and promoting the Video games. Here we have compelled few advertising techniques for video game developers. The best advertising technique for Video Games is connecting through social networking sites. Broadcast on Facebook, Twitter, YouTube channel for valid results. Create blogs and websites for promoting Game videos, Trailer of games before release. Just post the content anywhere and anything about your game. Create multiple posts related to the game Videos and describe the characters or roleplays on the Game. Before the launching of your game create some short videos like behind the scenes, trailers, short clips about Game to grab the audience attention. Use TV ads for effective advertising, because the whole World can view your Television ads. But it may be the bit costly using TV ads. If you are maintaining the Facebook, Twitter and YouTube channel, Now focus on creating a separate Website For Your Games. While posting on social media platforms attach a link to your website to Game video. Make sure that it should contain minimum information about your game where the journalist can make some notes on your game videos. Invest some time and research about older games how they are recognized, what type of Gaming content used, How they Promoted. Go online and promote your content on gaming channels, give news to press and Journalists, have excellent communication among the communities. You should have a good design sense to uniquely identified by the audience in Gaming Community. Make sure that follow basic game design rules like a simple logo to easily defined by the users, use bright colors, the logo should be small enough, use different colors, complementary blend of colors are eye catchy and gives a professional look. Halo was massive franchise Globally, and there is no matter of Big sales. But Halo does not want to be a big seller, planning to become the biggest seller. The company Halo started their promotion by distributing the Beta Version of Halo 5 those who bought “Master Chief Collection.” Halo 5 made over $400 million sales in the First week when it was out. They have 6 hours of Live broadcast on YouTube, and it was the biggest most watches video game ever. Lara Croft: Rise of the Tomb Raider had truly impressive Game and been awarded for the best 2016 Game marketing Award. Got the prize for “ Outstanding Overall Marketing Campaign” and here are some highlights to become the best Game marketing campaign. A photo booth where fans can dress up, Funny clips captured with Broad City Girls trying by beast Lara adventure games, An Instagram account of Lara followers, “I Shall rise” song Writer, Gathering of Lara at Comic-con. Mario Kart 8 released in 2014, which helped to bring Nintendo Wii U in front of the audience through this game. There were multiple online promotions, press releases, pre-ordering deals, special Stickers available on all stores. As we know that, Mario is massive and tons of games on the franchise. All these marketing campaigns of Mario boosted its sales twice and sold 200 million copies for Mario Kart 8. Just Cause 3 was launched and promoted on frictional Island called Medici, the game company only gave away the real Island. The company conducted a game to the people who pre-order the game has given some days to form the release. To earn points, the user should destroy the stuff as much as you can; the highest number points gained user can get real Island. They have also launched coll YouTube Videos on 360-degree view. 65% of Households own a device used for Playing Video Games. 48% of Gamers only play Social games, and from past 13 years, the Gamers are playing Video games. The Average age of Game Purchasers is 38, and the Gamers is 35. Most of the frequent gamers play video Games 40% with Friends, 21% with family members, 17% with Parents and 15% with Spouse/Partner. An average of 59% of Male gamers and 61% Female gamers play Video games. The Women gamers purchase 60% Video Games Purchased by Men and the remaining 40% Games. 50% frequent Gamers are Female and emerge with eSports. The Video Gaming Industry is the most seeking platform for the brands to reach the potential customers through the medium of advertising strategy. Kids and Teens are major sources for the Video Gaming Industry to make evolution of its brand.